Cocoa is an important ingredient in chocolate, which keeps your skin hydrated. Thus, it makes your skin more supple and firm. Dark chocolate is rich in flavonol, which is an excellent antioxidant. According to most dermatologists, flavonol are essential for healthy skin. Eating chocolate which contains 70% cocoa provides maximum flavonol content. In order to improve luminosity, just a couple of squares every day will be enough. If you apply dark chocolate topically, it may reduce puffiness on your skin. As strange as it may sound, most dermatologists advise applying dark chocolate on your skin. Pomegranates are rich in polyphenol antioxidants. Antioxidants are always good for your skin. Polyphenol antioxidants regulate your skin’s blood flow by fighting free radicals. As a result, they give it a good smell and make it soft. You can drink a few glasses of Pomegranate juice or eat a Pomegranate every day to keep your skin healthy. If you apply this fruit on your skin, it’s antioxidants will moisturize the skin and help remove wrinkles. 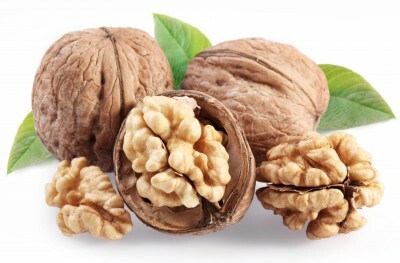 Walnuts are rich in Omega-3 fatty acids, which are essential for your body. They can improve your skin’s elasticity. Walnuts also contain copper. It enhances collagen levels in your body. A handful of walnuts everyday can do the trick. They can easily improve your complexion and get rid of tough calluses. According to dermatologists, people who eat yellow and green vegetables regularly have fewer wrinkles on their skin, especially around their eyes. Yellow, green and orange vegetables are rich in carotenoids. These substances can reduce your skin’s sensitivity to the Sun. Thus, solving all kinds of problems related to tan. Pepper also has the same effect. Two cups of pepper every day can do wonders for your skin. Sunflower seeds have a high content of Vitamin E. As a result, Sunflower seeds keep your skin supple. They protect the top layer of your skin from Sun and thus, also help with tan. Eating a handful of Sunflower seeds daily can be quite beneficial. Sunflower seeds are also rich in essential fatty acids. As a result, they are excellent for parched body parts, like heels and lips. Topical application of Sunflower oil is even better. Kidney beans are one of the best foods you can have for healthy skin. They not only keep your skin healthy, but also heal it. Kidney beans have a high content of Zinc. According to most dermatologists, low Zinc level in the body is the main cause of blemishes. As mentioned earlier, Zinc has healing properties and therefore, it resolves problems related to blemishes. A four-ounce serving of Kidney beans is the best way to increase Zinc level in your body. Topical Zinc is also effective against acne. Thus, if you buy lotions, make sure they have a high content of Zinc in them. Oatmeal helps retain Vitamins in your body. Moreover, Oatmeal also takes longer to break down once it is inside your body. Thus, keeping your blood sugar stable. High blood sugar can increase the level of androgens, which contribute to wrinkles. 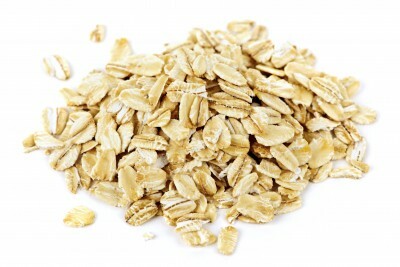 Oats also have healing properties which keep your skin healthy.